Articles in the media that mention pages in this website, they are linked to the original and reproduced here for your interest. There’s so much to do at this Peak District farm, from hiring an electric bike to soaking weary legs in a wood-fired hot tub, that you’d be forgiven for staying put. Don’t though. There are lovely walks to be had around the neighbouring National Trust landscapes, as well as further afield in The Peak District. Friendly owner, Sue, can lend you maps and walking guides and it’s family-friendly, with sledges to borrow in winter, a farm trail to explore and a haybarn to play in on rainy days. 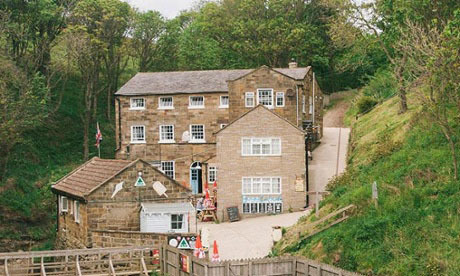 Just back from the beach, in a cove once used by smugglers, this popular North Yorkshire hostel has a designated room for drying wet gear and a restaurant for hungry walkers who don’t feel like cooking at the end of the day. What makes it a classic for walkers is the location, right at the end – or the start – of the Coast to Coast Walk, depending on which way you’re tackling Wainright’s much-loved route across the country. The Cleveland Way also passes by. The Exe Valley Way and Devon Heartland Way pass this picturesque village pub with rooms, which is owned, appropriately, by a couple called Walker. It has some quirks – children under 12 can’t stay and rooms aren’t available on Sundays or Mondays – but the food is award-winning (they smoke their own meat and fish and bake their own bread) and two of the five bedrooms are dog-friendly – handy if you prefer to do your hiking with canine company in tow. It’s also within striking distance of both Exmoor and Dartmoor. 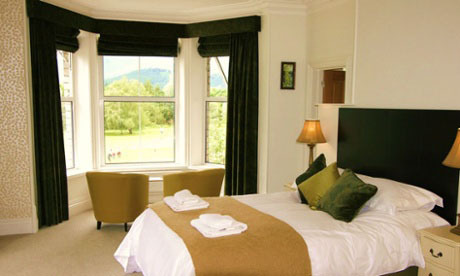 Behind its Victorian facade this Lake District hideaway is a small, modern hotel with 13 comfortable bedrooms, showers as fierce as a fellside downpour and a dedicated boot and clothes drying room. Unsurprisingly, given the location, it’s a hit with walkers, who use it as a base for some of the many local walks; you can do most of them from the door, including a hike up Skiddaw and several of the Miles Without Stiles routes for people with limited mobility. A drying room, a library of maps and guides, picnic lunches to order and route suggestions for the region’s relatively untrammelled footpaths have won this clapboard Kent hotel a Walkers Welcome award. For a blisteringly long list of nearby trails, start with the local countryside partnership or join one of the lengthier paths that wind along this coastline, from the Saxon Shore Way to the North Downs Way. Afterwards, sit down to the hotel’s beer and food tasting menus – line-caught local mackerel with Time & Tide’s Calista IPA, perhaps, or rump steak with Smugglers Stout. 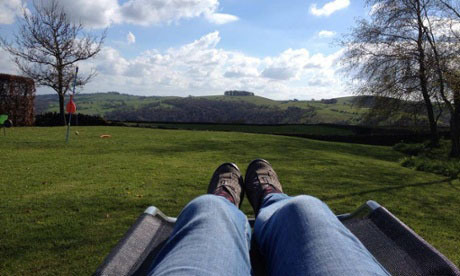 A collaboration between the Youth Hostels Association (YHA) and the Ramblers has seen the creation of two walking routes for every YHA hostel in England and Wales (available via the Ramblers Routes route finder). 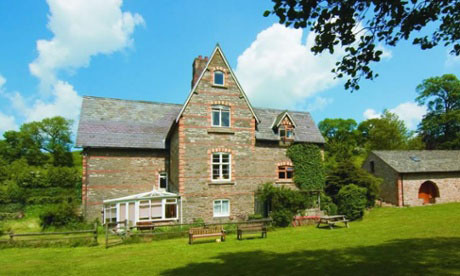 Not that you’ll need much persuading to get walking at this back-to-basics Shropshire hostel. A former school, Bridges promises spectacular hikes on the Long Mynd straight from the door, including part of the Shropshire Way. 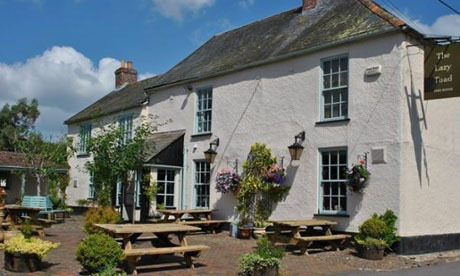 Reward yourself with a pint of Three Tuns’ Clerics Cure and confit of duck at the neighbouring Bridges Pub. 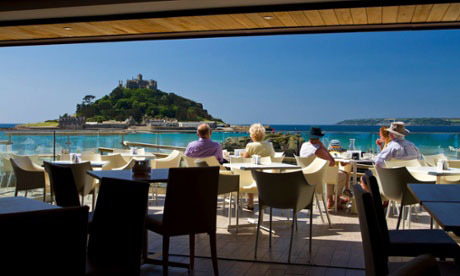 Besides stupendous views of St Michael’s Mount, this small, Cornish hotel has one great selling point for walkers: a position overlooking the South West Coast Path. There’s no drying room but the hotel will happily tumble dry wet clothes, and warm damp boots in its laundry. Staff can recommend local luggage transfer companies, as well as arrange packed lunches. Following a renovation earlier this year its panoramic beachside restaurant makes an excellent goal for a day’s tramping. The Yorkshire dales are well travelled by walkers but if you’re looking for more solitude, try the Six Dales Trail. This 38-mile trek tackles terrain better-known local routes don’t. Near the start it passes this homely farmhouse B&B where you can set yourself up for the task ahead with outstanding cooked-to-order breakfasts laden with free-range farm eggs and kippers from a neighbouring smokehouse. If you order in advance they’ll make you up a picnic lunch to take on your way, too, and wet gear can be dried in the owner’s laundry. Winchcombe, in Gloucestershire, is handily placed for the Gloucestershire Way and Cotswold Way as well as many shorter local walks. Little surprise, then, that it’s a Walkers Are Welcome town. 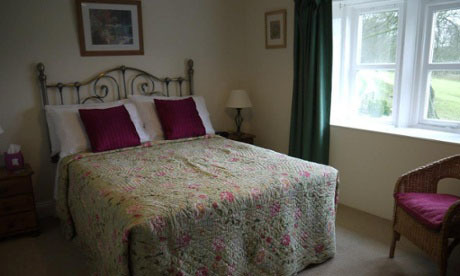 The White Hart is a member of the scheme and, in addition to standard en suite bedrooms, it has three cheaper ramblers rooms with shared bathrooms. For dinner there’s an extensive sausage menu, as well as burgers, steaks and stews. 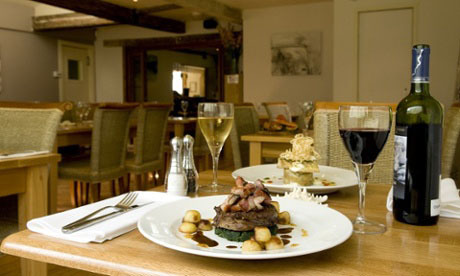 Or head down the road to the stylish Lion Inn and refuel on beef carpaccio, cod loin or slow-cooked oxtail. 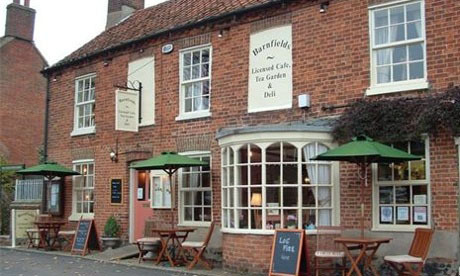 A useful pitstop on Norfolk’s ancient Peddars Way, this two-room B&B promises good beds, hot showers and Wi-Fi. Once the village doctor’s house, it now provides an overnight cure for footsore travellers. Luggage transfers can be arranged, as can simple hot suppers, and there’s an honesty bar if you fancy more than a cuppa. 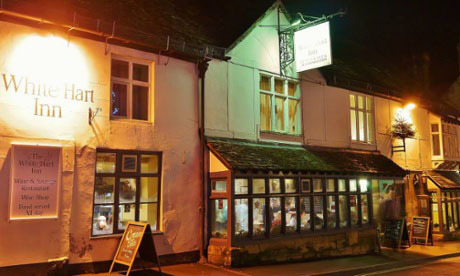 Or head up to the Ostrich Inn, overlooking the village green, for crackling fires, local beers and a dinner of pan-fried salmon or beef and ostrich ale casserole. Or you may prefer to browse some more, please do. You will find the navigation buttons above on the left.